L3H2, Bluetooth, Cruise control, Rear parking sensors, Full bulk head, Front fog lamps, Sliding door, 270 degree rear door opening, PTO as standard, Manufacturers Warranty, Roadside Assistance, Drivers Air Bag, Passenger Air Bag, ABS Brakes, ESP, Immobiliser, Anti-Theft System, Remote Central Locking, CD Player, Bluetooth Connectivity, Onboard Computer, Parking Sensors, Power Steering, Traction Control, Multi-Function Steering Wheel, Adjustable Steering Wheel, Front Centre Armrest, Electric Windows, Electric Mirrors, Fog Lamps. Price quoted €24350 + Vat CALL 074 91 34567 FOR MORE INFO Visit www. 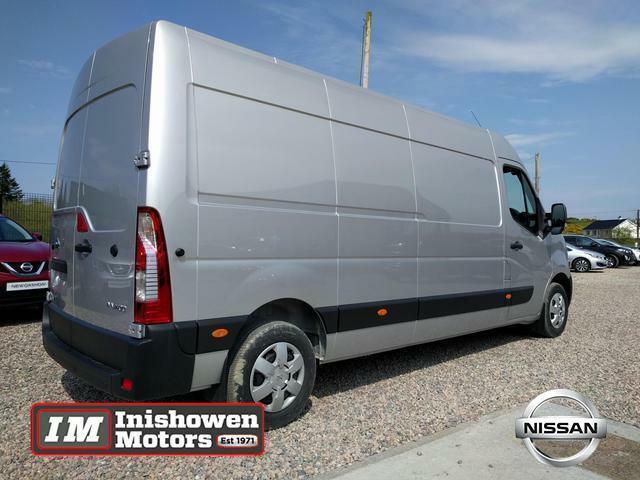 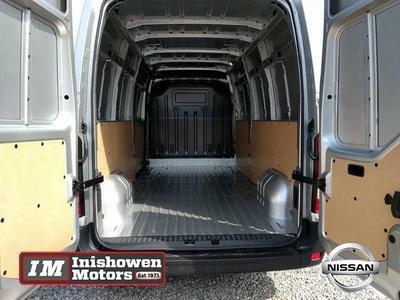 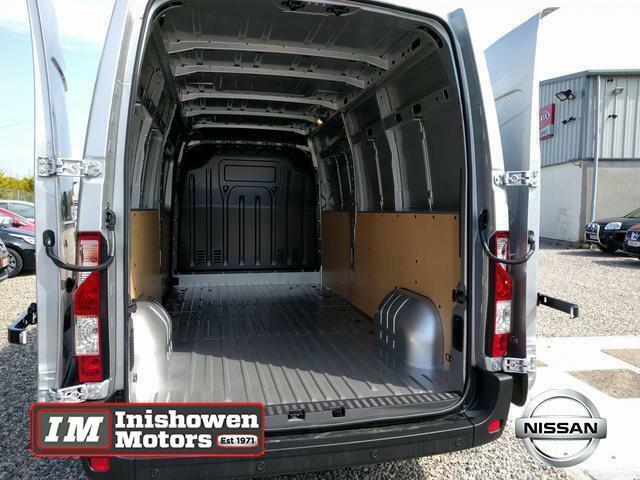 inishowenmotors. 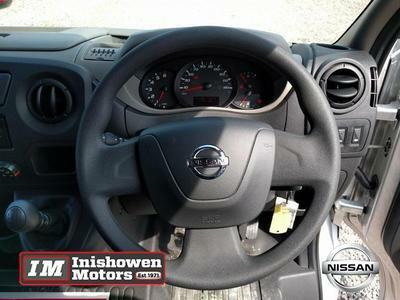 ie for more pictures. 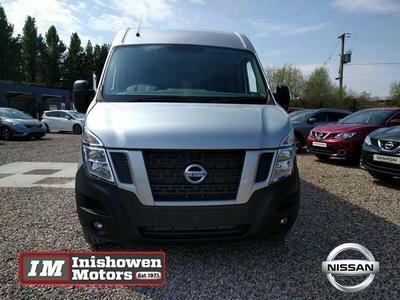 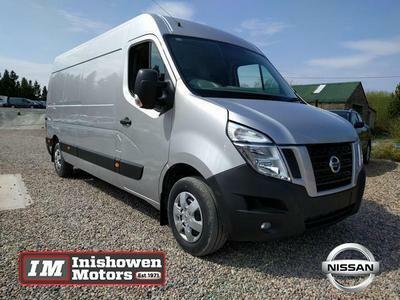 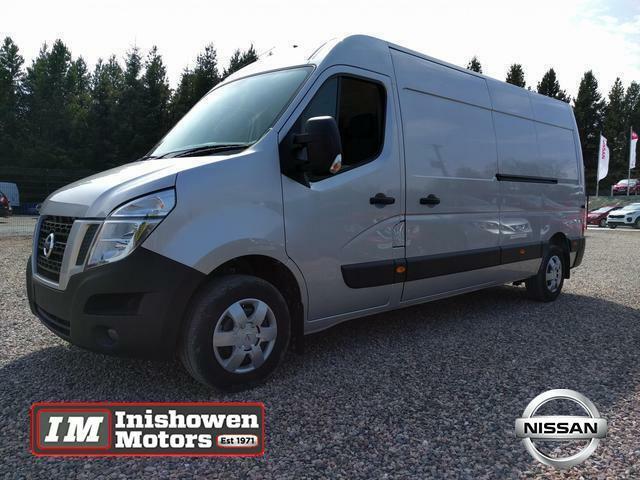 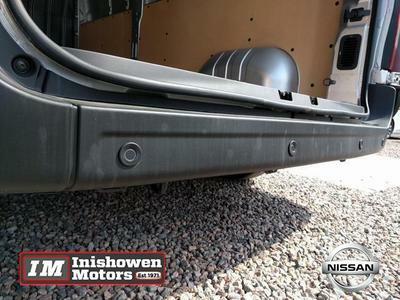 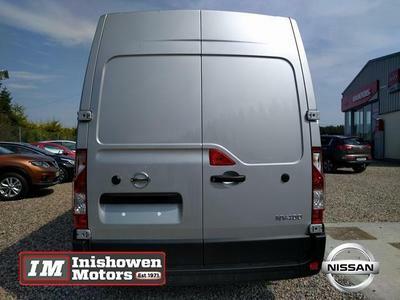 Following the success of the Renault Master and the Opel Movano, Nissan decided to chime in with a version of their own that would be capable of competing or even beating its competition. 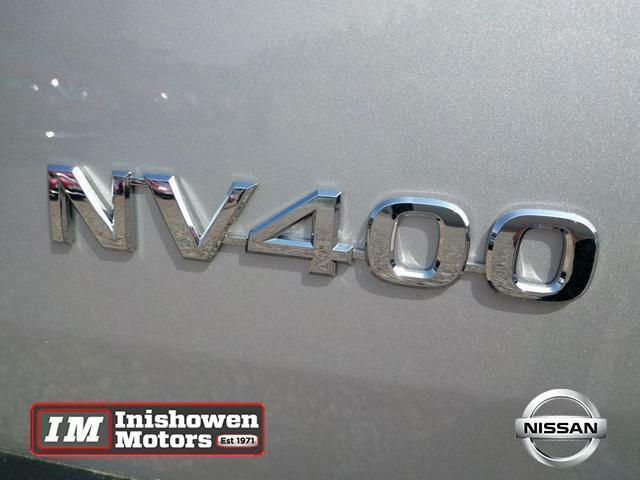 This is the NV400; it does bear a remarkable resemblance to its counterparts, but when it comes to comfort and practicality in this class, it’s hard to see past. 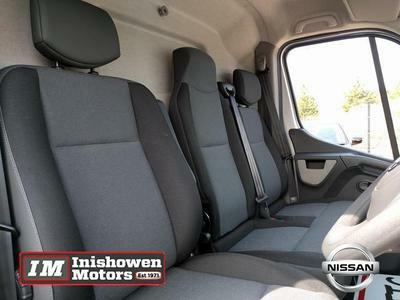 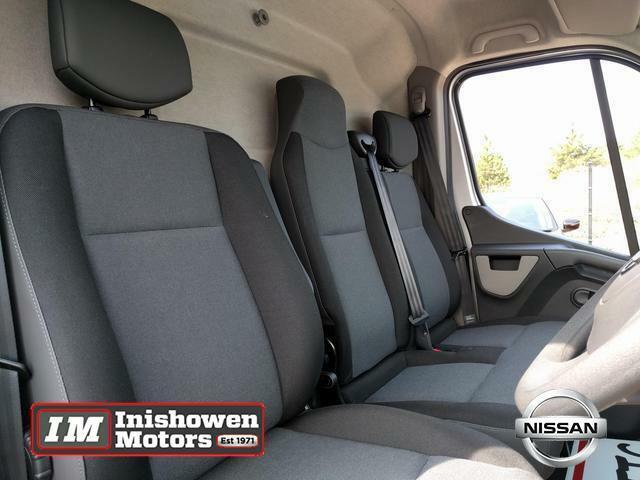 There’s plenty of space in the cabin for the driver and passengers, standard equipment is plentiful across the range, and everything feels high-quality and robust. In terms of cargo capacity, there are a few different body sizes available it can vary. 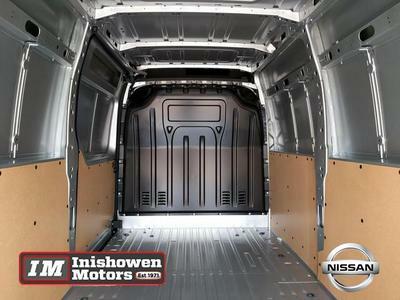 The payload can be anywhere between 8 and 17 cubic metres, which is pretty impressive. 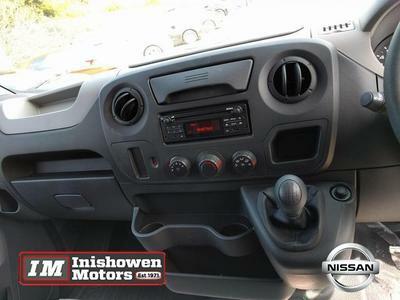 The maximum weight can also vary according to the body size; it can range between 1030kg and 2134kg. When it comes to driving; despite its size, the NV400 actually handles quite well. 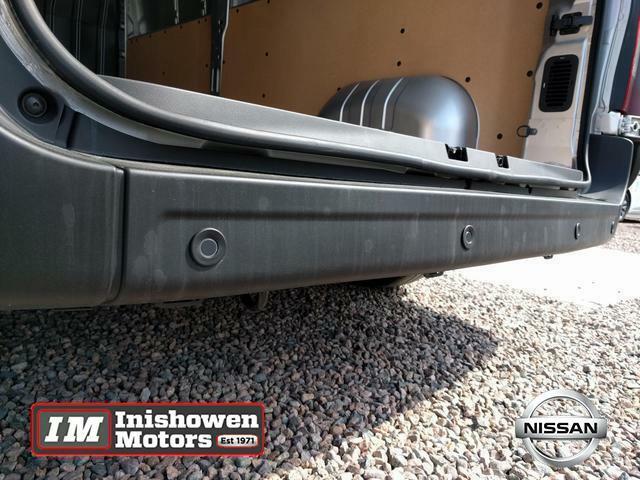 The steering is light but accurate, and the excellent suspension does a good job of keeping things smooth on the move, even with a full load.